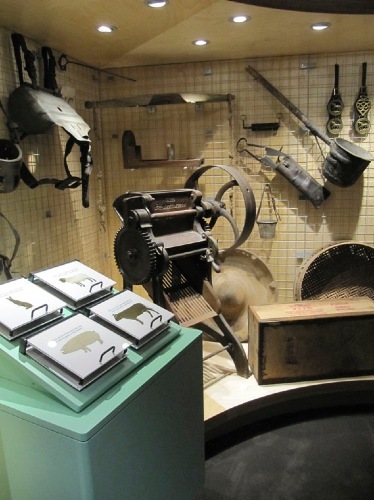 this museum, largely run by volunteers, contains items of national importance as well as a rich collection of local history artefacts. The museum contains one of the UK's most important Anglo Saxon finds: the Lakenheath Warrior, buried and now displayed alongside his horse. Mildenhall is also home of the Mildenhall Treasure, one of the UKs most dramatic archaeological finds. On display is an accurate facsimile of the treasure, the original of which is in the British Museum. Objectives was responsible for the redisplay of the museum's six galleries as well as a reception, retail and community space.